I remember the very first care package I mailed to my deployed husband. I was completely clueless about what to send, not having sent a care package to anyone before let alone one oversees. I remember strolling the candy isle contemplating between green sour chews and chocolate covered pretzels. I got so overwhelmed with the decision that I just started snagging sweets off the shelves as if I were on the game show Super Market Sweep. I figured he would be missing familiar “foods” from home, and he could always share the treats with the other guys. I didn’t include a card or pictures of our 6-month-old daughter. No. It had junk food. And I felt like I nailed it because I included “foods” from home. My bubble burst when I got a brief email from him a couple months later about that care package saying something to the extent of, Babe, I got your package in the mail yesterday. I was really hoping for pictures and some good snacks. I put the candy in the DFAC for the guys. Of course he was desperately hoping for photos and other family reminders (where was my head?! ), but to my surprise he absolutely did not want sweets. Cookies from time to time was ok, but he really craved a variety of foods. After some clarification, all he wanted was what we typically ate at home – fruit, veggies, meats, grains and healthy snacks. I suppose I skipped the day they talked about care package essentials in our pre-deployment family seminars and that’s why my head was not in healthy care package mode. The truth is, if you’re enduring your first deployment as a spouse, girlfriend or other family member, no one talks about what filling foods to send your service member that isn’t cookies, rice crispy treats, or caffeinated gum. Therefore, I compiled a list of 6 healthy care package essentials for your service member’s deployment that is sure to lift his or her spirits without expanding the waistline. Dried fruit offers an excellent alternative to fresh fruits. They help sustain energy while feeling like a sweet treat. Sun dried and canned veggies also offer many nutrients that fresh veggies do. This is a healthy option if he needs a little more variety in his diet. You can mail liquids as long as they’re properly wrapped and have a non-refrigerated shelf life. There are many brands of dairy products that travel easily such as Horizon’s organic 1% milk. I suggest wrapping each bottled liquid in bubble wrap and then placing it in a plastic bag. That way the leak is contained if the container is damaged. Flaxseed, peanuts, and walnuts are excellent healthy snacks to send. Peanut butter is often requested from deployed service members. Try sending all natural peanut butter void of partially hydrogenated oils and other preservatives that doesn’t require refrigeration after opening. Oats and whole wheat are healthy grains. Try finding items your service might enjoy such as whole wheat cereal or instant oatmeal with dried fruit. You can safely mail healthy meats such as turkey, grilled tilapia, and chicken breast overseas as long as they’re caned or vacuumed sealed. However, the United States Postal Service prohibits mailing pork or pork products. Protein powder is one of the most requested items from deployed service members. Two scoops of certain protein powder brands can contain as much protein as a single serving of fillet minion. Although real food is ideal for proper nutrition, I give mention to it because it can supplement the daily protein intake since certain meats aren’t always available in some deployable locations. It helps build muscle while sustaining energy. It can be found at any local vitamin and supplement store. If you’re wanting to be a bit more realistic in your care package goodies, try sending a variety of foods that aren’t processed or refined, have only 4-6 ingredients, and try to avoid foods with saturated or trans fats. After all, if you’re going to spend the time and money it takes to put together a care package, devote the box to items that are both filling and practical. The 6 healthy care package essentials offers natural, organic or non-perishable foods that fall into the basic food groups. Unless you’re stuffing your care package with junk food like I did with my first box, you can’t go wrong with this list. If you’re unsure about what is acceptable to send overseas, visit the APO/FPO/DPO Guidelines and Restrictions page at USPS.com. Also, the food in the images above can be purchased and shipped directly to your service member via MilitaryFoodEx.com. Restrictions apply depending on the country to which groceries are being mailed. Food items are available for purchase based on the supply they have on hand. See MilitaryFoodEx.com for more information. 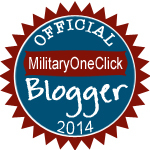 This article was originally written for publication on Military One Click.